Shelf Life: 24 months. Refrigerate if not used on a daily basis. 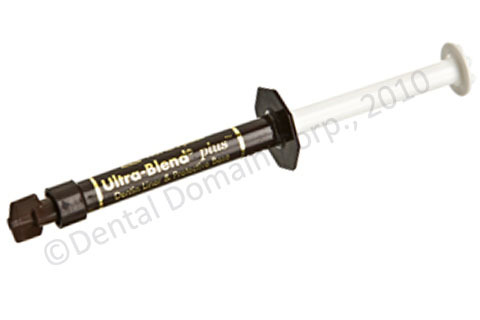 Ultra-Blend plus is a unique, light-activated, radiopaque liner material containing calcium hydroxide and calcium hydroxyapatite in a urethante dimethacrylate base. Precise syringe/tip delivery allows ? of a drop or less to be delivered as desired. Use Ultra-Blend plus as a thin cavity liner prior to placing either composite or amalgam, and for pulp capping with reversible pulpitis.